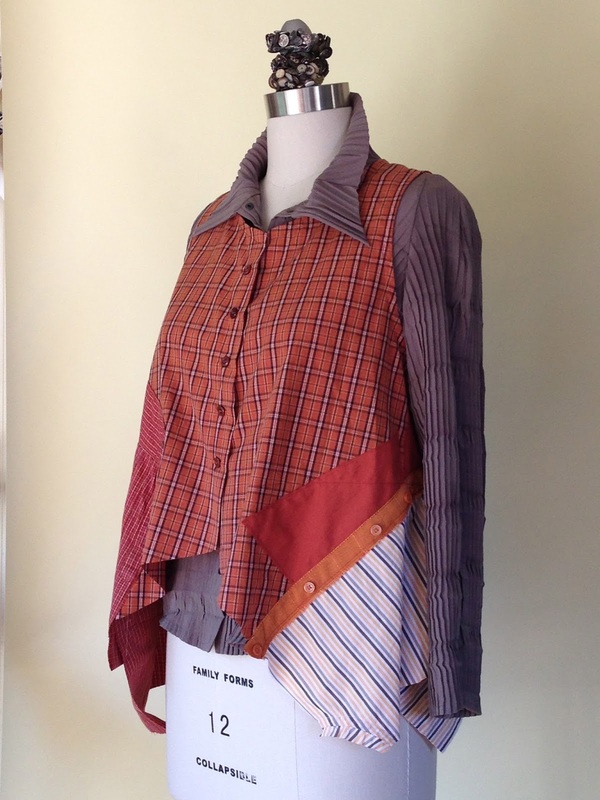 I can't seem to get away from using thrift store men's shirts to make women's garments. It probably has something to do with my need to use what I already have. And, I had lots of pieces left from the dusters and vests I made for Karen Melfi Collection in Santa Fe. I've had the pleasure of selling some of my garments in this wonderful shop over the last couple of years. I send them mostly things made from men's shirts. I also sell redesigned cashmere sweaters at Many Hands Gallery here in Capitola, right next to my bakery. I'm starting a few of these garments tomorrow and will post them before I send them off to find new homes. Being able to sell some of the garments I make has been great because I can't wear everything I want to sew. 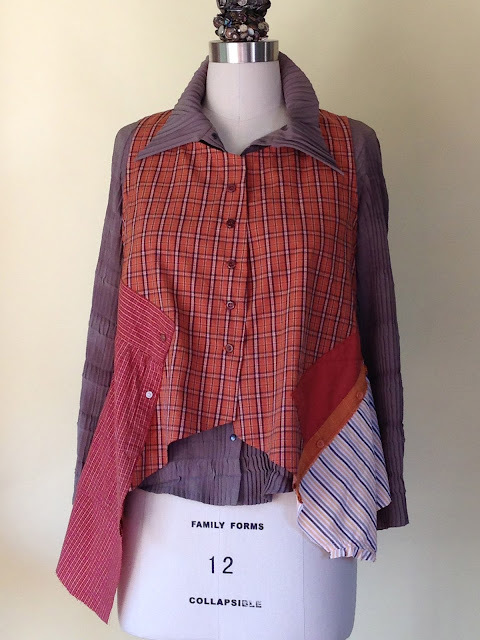 I like sewing for it's own sake and love to make things I know someone, somewhere in the world will love to wear. I used to sell to two stores in Carmel for years but both have sadly closed their doors. The shop owners would tell me stories about the women who came in from different countries and buy a sweater. Just to think about someone walking around 3000 miles away in something I made gives me a hoot! 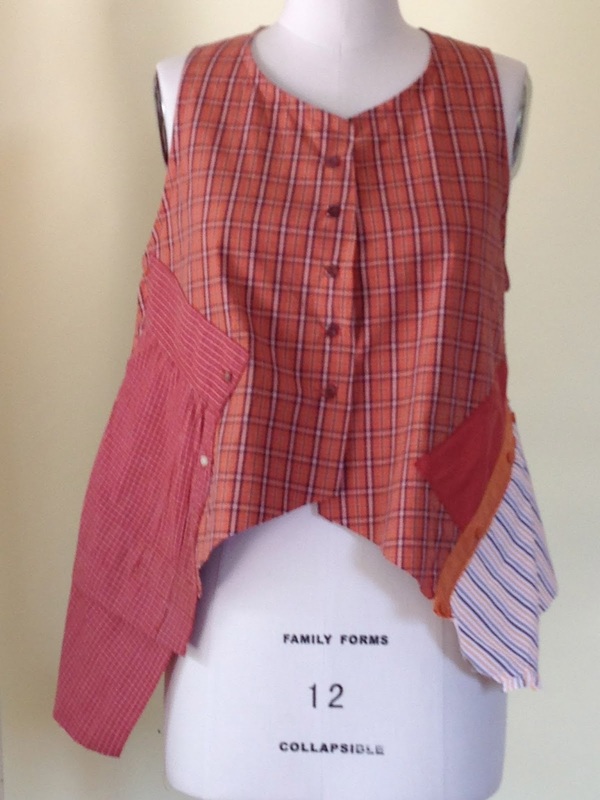 Here's a little vest I cooked up out of my current favorite color, orange. I paired it with a subdued taupe Babette top that I think gives it more....what's the word....dignity? No, that's too lofty. But it does ground it a bit, I think. Here are a couple other angles. What do you think of this pairing? 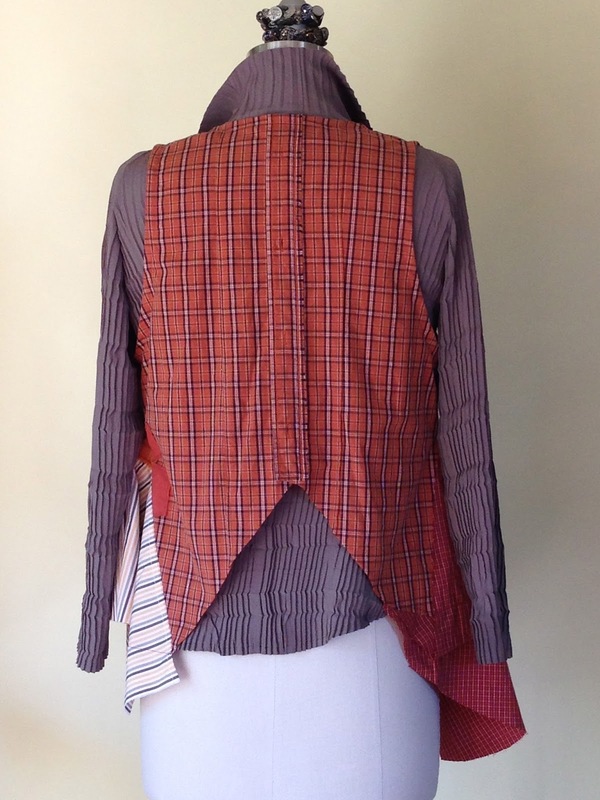 I loved Sham's (at Community With Fabric) recent post about what to wear with a garment she had just finished. I think feedback like that is so valuable. Here it is without anything underneath. Maybe all it needs is a little lightweight white tee? Or maybe I should sell it! Feedback gladly accepted! Now out to pick the gazillion zinnias in the garden!